Baram Agrofest 2019 was successfully held on 12 - 14 April 2019 in Marudi Town Square. 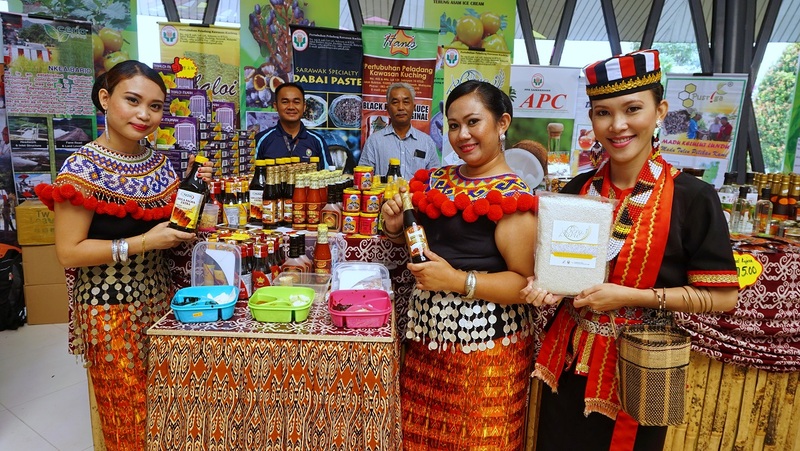 Various activities have been held such as agricultural products exhibition, handicraft competitions, Baram Kitchen, lucky draw, organic fertilizer demonstration, local artist performances and Ratu Baram Agrofest 2019. The 3 day program involves the division of Agrobased Industries and Home Economics, , Crop Industry, Farmers Institution, Industrial Training and also involving private sectors. The closing ceremony was officiated by YB Datuk Amar Douglas Uggah Embas, Minister of Modernisation of Agriculture, Native Land and Regional Development. Also present was YB Dr. Haji Abdul Rahman Bin Haji Ismail, Assistant Minister for Agriculture, YB Datu Dr. Penguang Manggil , Assistant Minister for Local Government also ADUN N.76 Marudi, YB Dato Gerawat Gala, Deputy Speaker of Sarawak State Legislative Assembly also ADUN N.78 Mulu, YB Tuan Anyi Ngau, APAR P.220 Baram, YB Encik Dennis Ngau, ADUN N.77 Telang Usan, Dr. Gluma Saban, Chief Assistant Secretary of the Ministry of Modernisation of Agriculture, Native Land and Regional Development and Dr. Alvin Chai Lian Kuet, Acting Director of Agriculture Sarawak.